to our customer J. 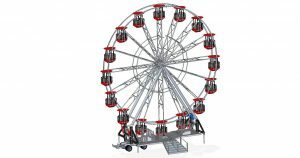 Drew of Drew’s Expositions (USA) who has ordered a brand new Lamberink RL22 Ferris wheel. 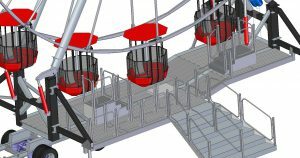 The wheel will be mounted on one semi-trailer, holds 16 gondolas and has a hydraulic set up system. The wheel for Drew’s Expositions will be ready and shipped in September of 2019.